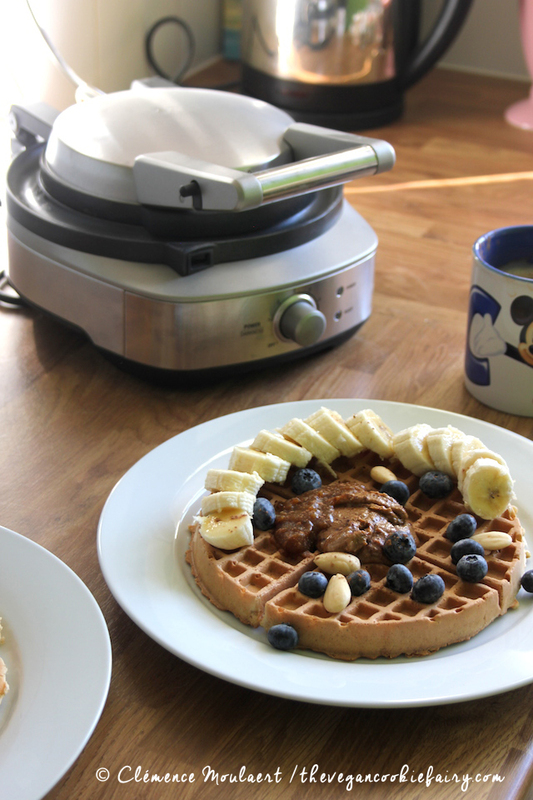 Crispy Vegan Waffles + WIN a Sage Appliances No Mess Waffle Maker! There’s one thing I miss, living alone. I don’t have anyone to cook for except myself, and though I make an effort to cook myself a lavish breakfast at the weekend, it’d be nice to share to make a bigger batch of pancakes once in a while, to carry a big stack to the table and bring out all the toppings available in my cupboards. So when my mum came round a couple of weeks ago to help me do some DIY in the flat, I saw the perfect opportunity to make use of my No-Mess Waffle™ from Sage Appliances. Guys, I can’t tell you how much I have missed waffles. I had a waffle maker for a while – I won’t name the brand but it was a truly awful contraption. I always had to use oodles of coconut oil to grease it, and still the waffles stuck. After using just a few times, the timer’s light stopped functioning properly, so I never knew when the waffle iron was actually hot enough. Last time I used it – well over a year ago now – the machine overheated and the batter actually glued it shut. I had to toss it into the bin, the batter still stuck in the waffle maker. So it had been well over a year since I’d last had waffles. And for a Belgian born and raised – gosh, that was hard. I grew up eating the best, the best waffles in the world. Crisp Brussels waffles, so light and airy, topped with mountains of whipped cream and dusted with snowy powdered sugar. Heaven. We’d get some of those at the fun fair, at a place called Chez Max. I always preferred those to the heavier, sickly sweet Liège waffles with their caramelised edges and balls of sugar inside — although there is a time for those, too. Brunch has been reborn. The lovely people at Sage Appliances offered to solve my waffle conundrum, and though I was highly skeptical — I mean, I’ve had a lot of bad waffle maker experiences, not just that one machine I once had — I have to say I’m now a complete convert. The No Mess Waffle™ by Sage Appliances, Heston Blumenthal‘s brainchild. The name alone made me question whether this machine would actually do the trick, but given the battles I’ve fought at breakfast to try and make my waffle dreams come true, I figured I didn’t have anything to lose. As it turns out, I had everything to gain: the first batch I tried came out perfect in just five minutes, the edges crisp and the inside baked to perfection. Hallelujah! It does what it says on the tin, really: any excess batter that overflows is caught in the moat around the waffle iron itself, so you don’t have any spillage on the countertop and the machine stays clean. I’ve found that it takes very little greasing, if any at all, and that the waffles don’t stick to the iron at all. And if you prefer a softer, fluffier waffle to a crisp, golden one like these in the recipe below, you can easily adjust the settings (they range from 1 to 7, or MAX). I’ve used my No Mess Waffle™ plenty of times now and the results are just fantastic every single time. It makes me look forward to the weekend, dreaming up all sorts of toppings for my breakfast of champions. Have I got you hungry for your next weekend brunch? Enter the competition below for your chance to win a brand new No Mess Waffle™ from Sage Appliances! Put a little coconut oil onto a sheet of kitchen roll and grease your No Mess Waffle™. Switch on your No Mess Waffle™ on setting 5 to pre-heat. The light will turn green when it is ready to use. In a cup, add the soya milk and apple cider vinegar. Set aside to curdle. In a medium-sized mixing bowl, combine the dry ingredients with a fork. Make a well in the centre and pour in the curdled soya milk, as well as the vanilla extract. Fold in the wet ingredients, mixing until no lumps remain. Pour half of the batter into the No Mess Waffle Maker and close the lid. A light will turn on and you will hear a beeping sound when the first waffle is ready, approximately five minutes later. Place the waffle onto a plate, and repeat with the rest of the batter (I find there’s no need to grease the iron again). When you’re done, switch off your machine and let it cool before you give a wipe with a wet cloth. What’s your favourite waffle topping? Let me know in the comments below so I know what to try next time! Disclaimer: This post was sponsored by Sage Appliances and the No-Mess Waffle™. As always, all opinions are my own, and I think the No-Mess Waffle™ is genius. « Gluten-Free Spiced Pumpkin Cake with Whisky Buttercream + Win 2 Tickets to VegFest Scotland! Always a fan of waffles so this looks like a great recipe! Having had lived in the US, a lot of the recipes there call for bacon and maple syrup on the waffle…but when I was a vegetarian I always had it with cream cheese 🙂 like it now with agave syrup and raspberries! I’ve never made waffles in my life but i love Sage products, they’re such great quality and look fantastic. It was from following them that I found your blog, We’re trying to cut out meat so i’m delighted we’ve found you! As for toppings i’d love to try a christmassy orange and brandy topping or raspberry, rhubarb and chocolate. For savoury i’d go for cheese and leek. I’d like to think i’d get more adventurous once i got used to making waffles. Raspberries and coconut whipped cream. Or plain straight off the waffle maker! 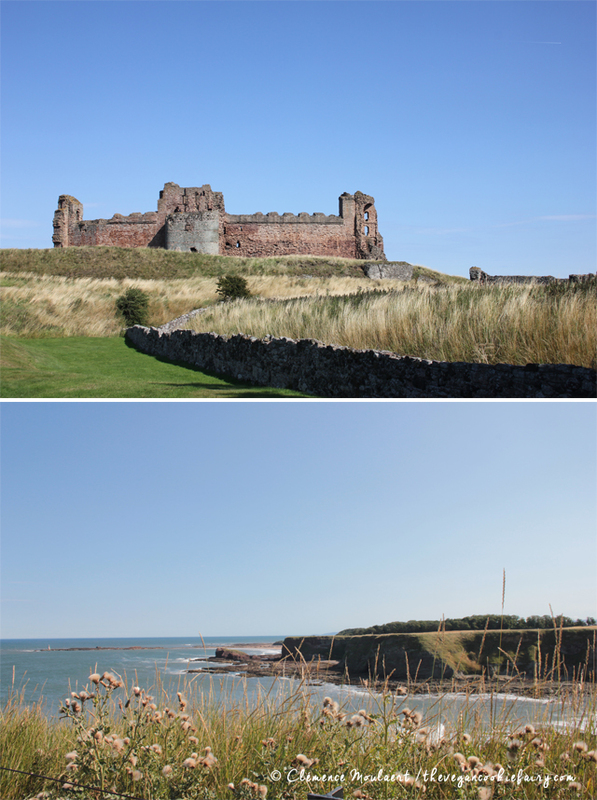 Lovely photos, waffles and East Lothian. I’ve never made waffles, but this recipe seems so easy. I remember eating packaged waffles from a supermarket as a child and smothering them in golden syrup. I think a dreamy topping for your recipe would be Lotus caramelised biscuit spread ? or cashew nut butter and choc shot sauce.